The Food and Drug Administration on Friday approved a drug that targets a specific mutation in patients with cancer of the urinary system. New Brunswick, New Jersey-based Johnson & Johnson’s subsidiary, Janssen, said Friday that it had received accelerated FDA approval for Balversa (erdafitinib) in patients with locally advanced or metastatic urothelial carcinoma that displays susceptible FGFR2 or FGFR3 genetic alterations, and who have progressed during or following at least one line of platinum chemotherapy. The FDA is also approving a companion diagnostic for the drug, Qiagen’s Therascreen FGFR RGQ Reverse-transcription polymerase chain reaction kit. 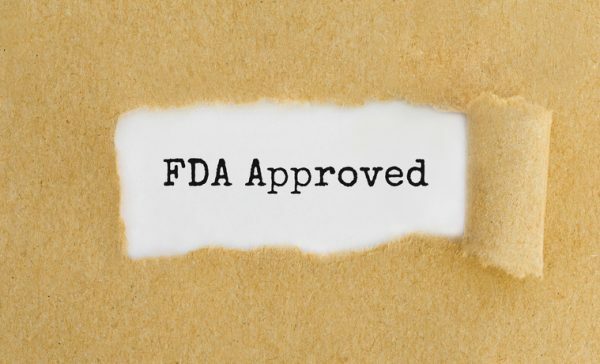 FGFR stands for fibroblast growth factor receptor, and Balversa represents the first FGFR kinase inhibitor to receive FDA approval, Janssen said. Given that it received an accelerated approval, the drug will have to demonstrate the drug’s clinical benefit in a confirmatory trial. The regulatory submission and accelerated approval are based on data from the Phase II BLC2001 study, which were presented last year at the American Society of Clinical Oncology’s annual meeting in Chicago. The data included 99 patients treated with a titrated dose – starting at 8mg and increasing to 9mg based on serum phosphate levels – and showed an overall response rate of 40 percent, including 3 percent complete response rate and 37 percent partial response rate. Median progression-free survival was 5.5 months, and median overall-survival was 13.8 months. According to an article in the Houston-based University of Texas MD Anderson Cancer Center’s newsletter about Balversa, FGFR genes are mutated in 20-60 percent of urothelial carcinomas, with FGFR3 being mutated in about 15 percent of patients with metastatic disease. The company in particular touted the personalized medicine approach of the approval, given the simultaneous approval of a companion diagnostic for the mutation that it targets. That goes hand in hand with the growing view of cancers as genomic rather than tissue-based diseases. One of the most promising examples of this approach is Eli Lilly and Bayer’s Vitrakvi (larotrectinib), a TRK inhibitor that received accelerated approval in November for any cancer that displays an NTRK fusion, based on data from clinical trials that enrolled NTRK fusion-positive patients regardless of where their cancers appeared in the body. On Thursday, Bayer announced data from a subset analysis of 11 patients with non-small cell lung cancer that showed an overall response rate of 71 percent, including among patients with brain metastases. That figure is largely consistent with the results of the clinical trials that led to the accelerated approval, showing an 80 percent response rate. Vitrakvi was originally developed by Loxo Oncology, which Lilly acquired for $8 billion in January.